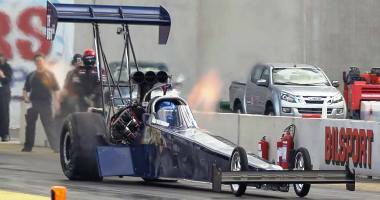 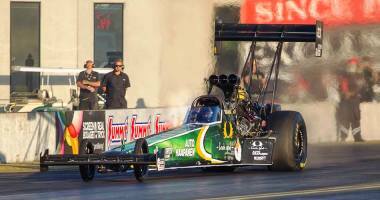 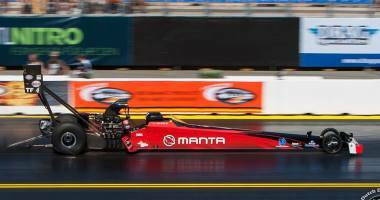 Among the fastest-accelerating machines in the world, 7,000-horsepower Top Fuel dragsters are often referred to as the “kings of the sport,” and with good reason. 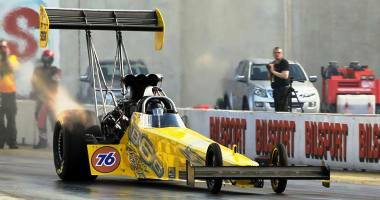 This class competes, since 2012, over 1000 feet. 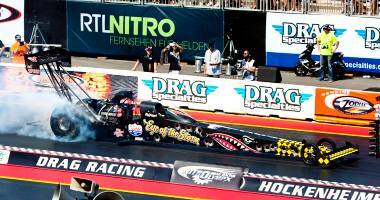 TopFuel dragsters are capable of covering this distance in under 4 seconds at more than 500 km/h. 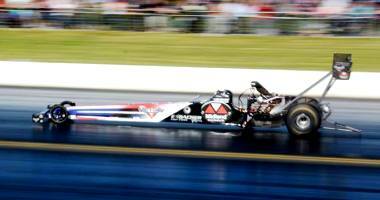 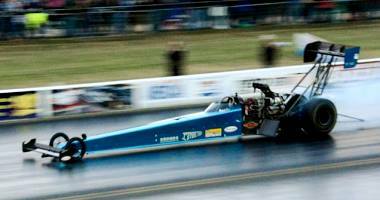 Powered by a supercharged and fuel-injected 500-cubic-inch adaptation of the famed Chrysler Hemi engine, Top Fuel dragsters can burn up to 55 l. (15 gallons) of nitromethane fuel during a single quarter-mile run. 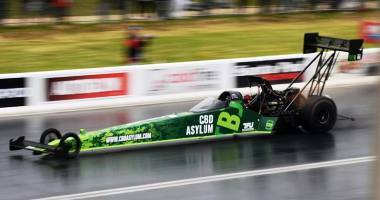 Constructed of chromoly steel tubing and carbon-fiber composite, Top Fuel cars are 7,6 meters long and weigh 1000kg in race-ready trim.